Char Dham Yatra package by helicopter lets you visit all of these sacred destinations without any kind of difficulties. The availability of a helicopter which takes you to these destinations means that you can spend more time on darshan without any time wasted in travelling. In addition, you will also enjoy the wonderful views from the helicopter throughout the course of your journey. 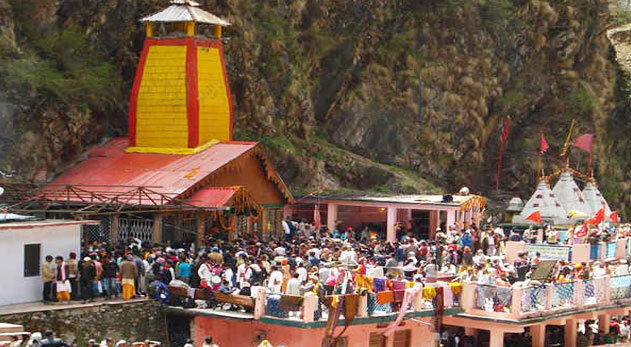 The Char Dham Yatra is one of the holiest pilgrimages for Hindus. The four abodes in the Himalayas, which includes the four holy shrines, Badrinath, Kedarnath, Gangotri and Yamunotri, are collectively referred to as the Char Dham Yatra. Every one of these sacred sites is dedicated to a particular god. While Kedarnath is dedicated to Lord Shiva, Badrinath is dedicated to Lord Vishnu. Gangotri and Yamunotri are dedicated to Ganga and Yamuna rivers respectively. You will meet our tour representative and exchange greetings at Sahastradhara helipad at Dehradun. From here, you will depart for Harsil, which is the base for Gangotri by 0700hrs. The entire flying time will take you approximately 35 to 40 minutes. After breakfast, visit the Gangotri Dham and come back to Harsil by 1100hrs. Depart for Kharsali, Yamunotri, which should take you about 35 minutes. After arriving at Kharsali Helipad, check in to the Yamunotri Cottages. After enjoying your lunch, you will be taken to Yamunotri by Palki. This is situated at a distance of 6km trek and the time taken is approximately 1hr. Enjoy your darshan, and after that, return back to Kharsali by evening. Upon your arrival, you will be provided with tea refreshment. After that, you are transferred back to the cottages, followed by a dinner. After an early morning breakfast, leave Kharsali for Kedarnath. According to the government regulations, you will be required to change a helicopter at Guptkashi and take another helicopter for Kedarnath. Arrive Kedarnath by 0800 AM. The temple here is situated at a distance of approximately 400m from the helipad. Special darshan slips will be provided to you. After enjoying the darshan, you will be brought back to Guptkashi. Around 10 AM from Guptkashi, begin the journey to Badrinath. The entire flying time takes approximately 35 minutes. 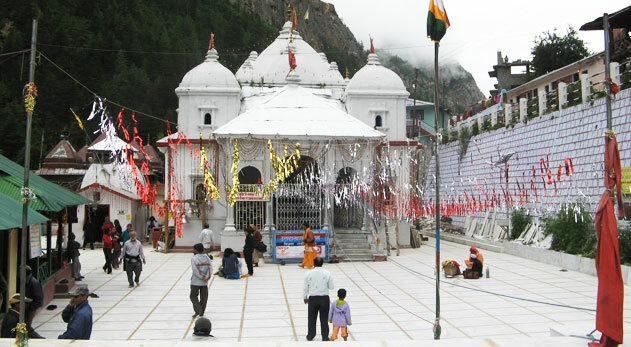 After arriving at Badrinath, make your way to the temple for darshan. After enjoying the darshan, get transferred to board helicopter for Sahastradhara Helipad (Dehradun) between 1 and 2 PM. With this, Char Dham Yatra from Dehradun by helicopter comes to an end.